Like the haircut! Your hair is a great colour. My youngest has strawberry blonde hair and I love it. 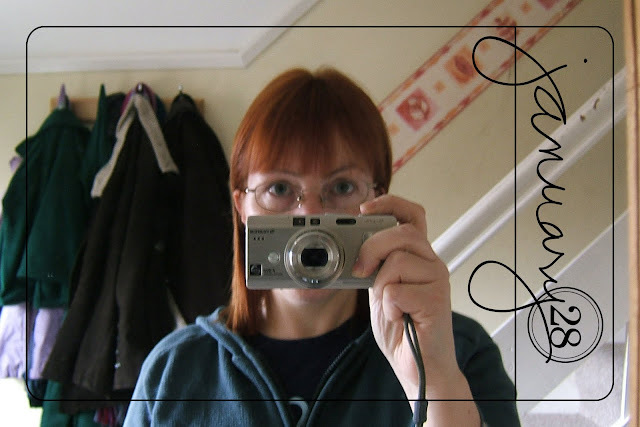 While sorting out photos of me throught the years for my personal blog I've found it quite amusing to see my hair change in both colour and style depending on mood and age. I love your hair colour!! & I now have sandwich envy, that looks so nice and fresh. Like the haircut - it will be interesting to see if you change your hair throughout the year. I really like your idea of the coats! You know your hair looks almost the same color as two of my boys, I love it! I'll have to try your sandwich one day. Never considered that combo. love the hairuct, you look gorgeous. i am not looking so gorg personally as im still in bed. glad to have so many blog friends to talk to though. it's sad to live alone when ur ill!!!!! hahahaha........that sandwich sounds lovely but id have the apple separately. my fave is cheese and tomatoe with mayo, low fat of course. Love the hair! as for the sandwich, well for that you have to like apple and celery and I don't. People laugh when I tell them I don't like vegetables or much fruit and I am allergic to meat - I like chips and I like fish and cheese and eggs ~sigh~ that's not so odd is it? Great idea to document the hair cuts...mine would include hair colours as well!! Cheese,apple and mayo sounds yummy.....I'll leave the celery in the shop. Love the haircut Mel, that's an interesting thought about documenting haircuts, coats etc. well - that is ALMOST a picture of your face! Great job and your hair looks great. Great self-portrait. I also love the hair color which runs in my husband's family, but neither of my children got it. I really like the idea of watching yourself and the items in the background change with the seasons, what a great idea!